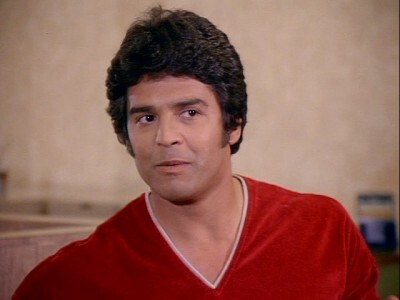 Morning Man Classic: Erik Estrada! Hey look, I know it’s hard not to think of all those cheesy late-night infomercials he’s done for National Recreational Properties in recent years when you think of Erik Estrada. 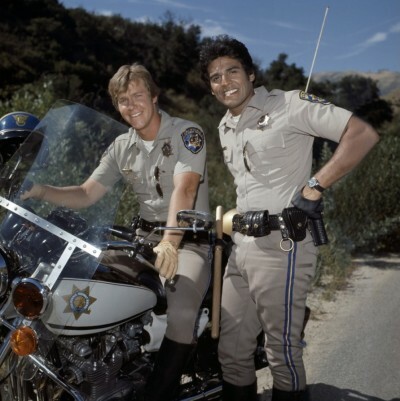 But this guy was a major heartthrob during the peak of his fame as one of the stars of NBC’s CHiPS. 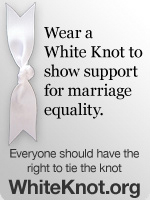 I also passed my his poster every day for years because it was plastered on my little sister’s bedroom door. 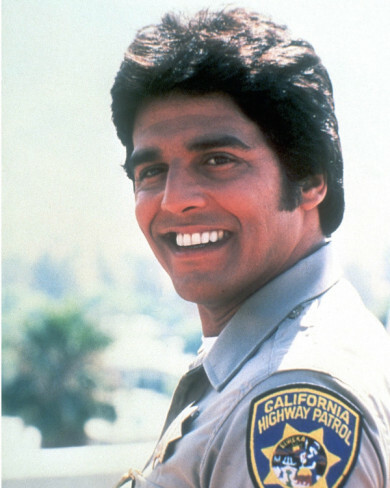 Estrada, now 63, played macho, rambunctious Officer Francis (“Frank”) “Ponch” Poncherello, a Highway Patrolman of the Central Los Angeles office of California Highway Patrol. He was paired with Larry Wilcox as strait-laced partner, Officer Jonathan “Jon” Baker. The show lasted six seasons from 1977-83 but Estrada missed seven episodes during season 5 in a dispute with producers over syndication profits. He was replaced for those episodes by, of all people, Bruce Jenner! Estrada has never had the same level of success since CHiPS but he has never stopped working either with countless television guest spots – sometimes parodying himself – and many, many film roles. His greatest successes have been as co-host the syndicated outdoor adventure show American Adventurer which lasted a decade and as Johnny, a Tijuana trucker, in the Televisa telenovela Dos Mujeres, un camino (“Two women, one road”). Originally slated for 100 episodes, the show went to 400-plus episodes and became the biggest telenovela in Latin American history. 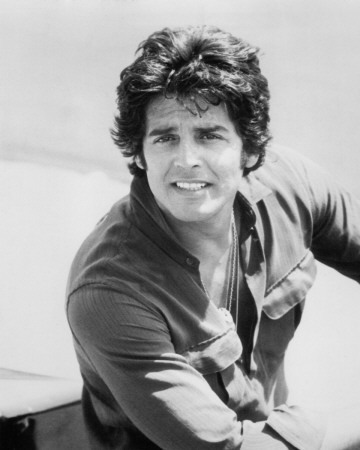 In 1998, Estrada returned as the character of Ponch in the TNT made-for-TV movie CHiPs ’99 along with the rest of the original cast and had written his autobiography, Erik Estrada: My Road from Harlem to Hollywood a year earlier. Let’s also not forget…he appeared on the second season of VH1′s the Surreal Life with Vanilla Ice and Tammy Faye Bakker, appeared on Armed & Famous with LaToya Jackson and accidentally punched Bill Maher in the face on an episode of Pictionary with host Alan Thicke which can be seen on YouTube.